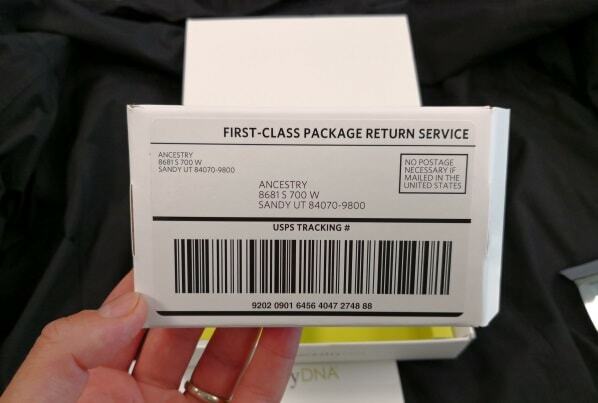 Ancestry DNA Kit: What’s Inside the Box? 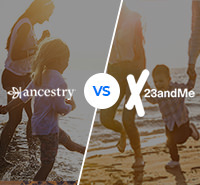 A home DNA kit can be an illuminating trip through your family history—and it’s pretty fun, too. 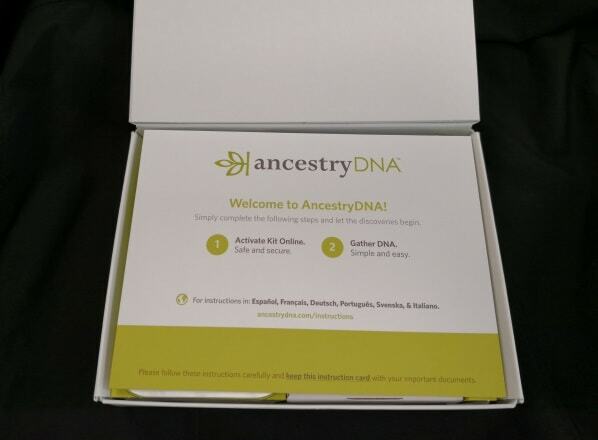 When you order a kit from AncestryDNA, you’ll receive a little white box on your doorstep within 6 days, but often earlier—and that’s when the excitement begins. 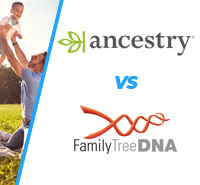 AncestryDNA keeps things simple and this should be clear from the moment you pop open the box. 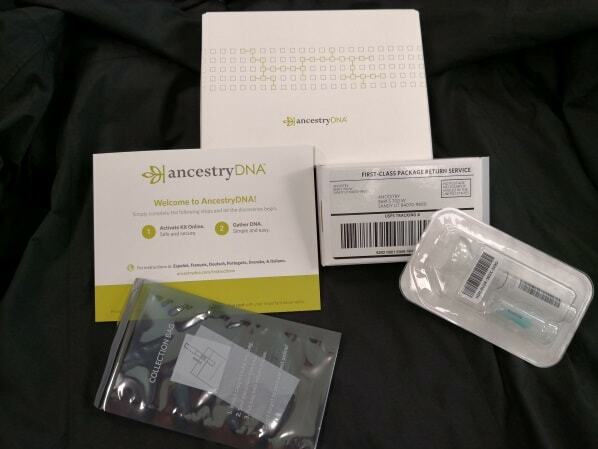 Inside, the first thing you’ll see a little welcome card that lists the 2 main steps in taking the test: activating the kit online and gathering your DNA sample. The box includes a step-by-step guide with pictures that will walk you through the process of taking the test. These steps are broken down one-by-one, from the moment you register the test to when you place it in a box and ship it. 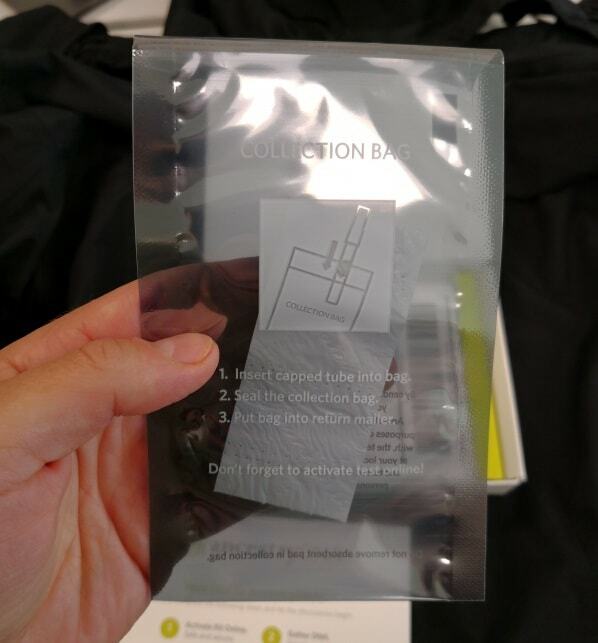 Under the booklet you’ll find a plastic baggie that you’ll use to hold your DNA sample inside the shipping box. Inside the box you’ll also find a smaller plastic box that includes the tube you use to submit your saliva test. A small cardboard box with prepaid shipping is included in every box, for you to ship your sample to the lab free of charge. The kit also includes a reminder written on the bottom to activate your kit online, so you can track its progress and access your results when they’re ready. Let’s walk you through this step-by-step. 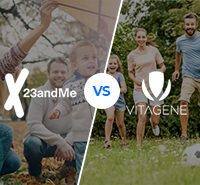 Get yourself ready: This isn’t a test you need to cram for, but in order to optimize your DNA sample, make sure not to eat, drink, smoke, or chew gum for 30 minutes before providing your sample. 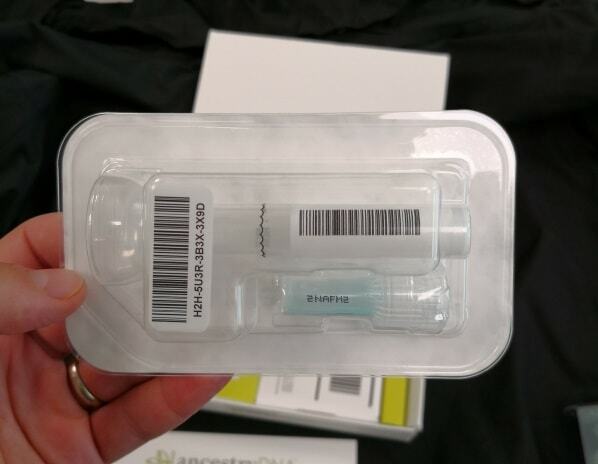 Submit your sample: Unlike tests that require rubbing a cotton swab on the inside of your cheek, with AncestryDNA you’re going to take a little test tube and spit inside of it until you fill it to a little black wavy line. Then you take off the top of the funnel and replace it with the blue liquid cap and tighten it until the blue stabilizing fluid is released. You then shake the tube for 5 seconds, and your sample is ready to go. Seal it up: Take your sample vial and place it inside the plastic bag and seal it. Mail it to the lab: Place your plastic bag inside the prepaid shipping box that came with your test and ship it back free of charge. 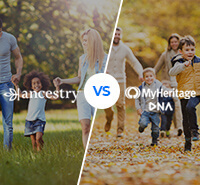 Watch for updates: Over the coming weeks you can monitor your AncestryDNA account to get updates for when your test is ready. In order to see your results you’ll need to have registered when you receive the test. After you ship off your test, you should expect it to take about 8 weeks or so for your test results to be posted on your account. Until then, you can log in periodically and check out the progress bar to see how far along your test is. Once your results are ready, that’s when the discovery really begins.